Home Satellites How should the Satcom industry deal with AI, IoT & Space Debris? Highlights from the inaugural Satellite Technology Asia conference held in Singapore from 9 to 10 October 2018. Martin Coleman, Executive Director of the Satcoms Innovation Group, presents at the Satellite Technology Asia conference. 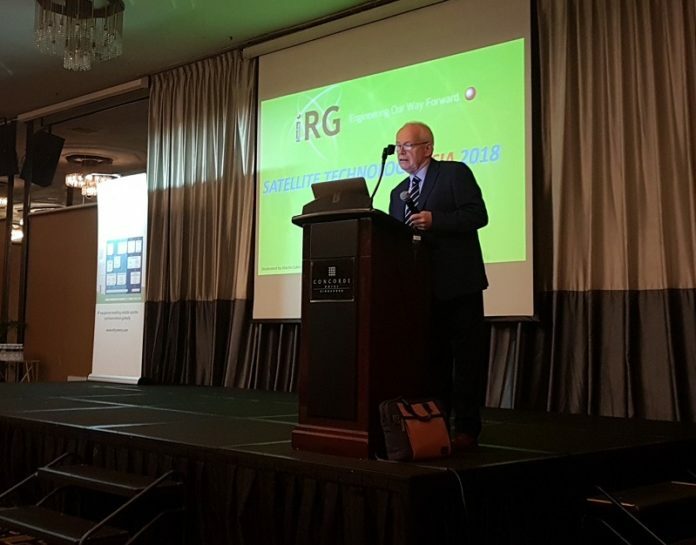 At Satellite Technology Asia held in Singapore from 9-10 October, the Satellite Interference Reduction Group (IRG) made an announcement – IRG has now rebranded (and reoriented) itself as the Satcoms Innovation Group (SIG). This is meant to expand the scope of the 20 year-old IRG’s activities, but is also indicative that changes are taking place within the satellite communications (satcom) industry – both due to innovations within the industry, and external influences and pressures. The two-day event addressed immediate interference-related problems the group traditionally deals with, but also saw in-depth discussions on new issues within the satellite industry amongst participants. Some of these included the importance of satellites in Smart Cities and Internet of Things (IoT), space debris, and Artificial Intelligence (AI). Speakers and participants included Martin Coleman, Executive Director of SIG; Andreas Voigt, Global Communications System Manager of Eutelsat; Andrew Bond, Sales & Marketing Director of ETL Systems; Mark Steel, Director, User Terminal Development – GX Program of Inmarsat; and Lim Wee Seng, Executive Director of the Satellite Research Centre, Nanyang Technological University (NTU). During the event, it was agreed upon that satcom will co-exist with new technologies such as fibre and mobile. Although these might be able to deliver connectivity, there are certain services for which satellites are best suited. An example is in broadcast, where large events need real-time, global coverage, for which satellite remains the only viable solution. However, satellite operators are now viewed as service providers rather than technology vendors; customers today are concerned only about the efficacy of connectivity and not the method. This means that satellite operators must now see themselves as part of the larger world of telecommunications that includes fibre and mobile, and must adapt accordingly. Signal quality remains an issue for the satcom industry, which cannot afford a single point of failure, especially during important broadcast events. Thus, there is an ever-growing demand for redundancy, as well as better RF parameters and antennas that can ensure signal quality. Given the exponential increase in demand for data, consumers now demand connectivity in the aviation and maritime industries; this is particularly challenging for satcom operators because it requires new technologies such as lightweight antennas that can transmit and receive at high speeds. This, the speakers argued, will need more time. One way to make the industry more efficient, it was suggested, is to look towards automation to solve a myriad of challenges, which include satellite interference and signal quality. An example of automation in the satellite industry was cited – Kratos’s SatGuard, a software that identifies which VSAT terminals are causing interference at any moment in time, solved the impossible task of manually checking thousands of terminals to identify a few problematic ones. Taking automation a step further, the discussion turned to the possibilities offered by AI. For example, AI might be able to help operators deal with issues such as repetitive manual tasks, a heavy workload, and big data, which are fast becoming unmanageable. It was pointed out, however, that AI comes with its own set of challenges, e.g., issues of data ownership, privacy and security, as well as knowing how to use AI to solve issues specific to the space industry. AI may be able to answer the specific questions we ask, but are we able to ask the right questions? With the advent of IoT and the smart city concept, satellites will be an integral part of the remote sensing infrastructure. Dr Lim Wee Seng, in a presentation on Singapore, demonstrated that satellite data is important even in a city like Singapore, where terrestrial networks might seem sufficient. 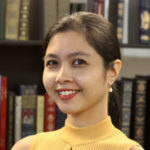 According to Lim, however, terrestrial networks can only provide roughly 70% of the information needed; the remainder needs to be supplemented by satellites. The challenge, he said, will not lie in connecting devices for IoT purposes, but in processing and analyzing the data. Finally, when discussing space debris, several issues were raised. Although many groups are working on monitoring and removing space debris, an industry-wide effort is needed in order to effectively tackle the problem. However, what incentive is there for satellite operators to deal with debris? The participants suggested two ways of dealing with debris – the first is to try to remove the debris already in space, and the second, to leave the existing debris alone but to ensure no new debris is created. It was argued that, although the first is more proactive and beneficial, the second option might be more realistic from a practical and regulatory standpoint. To do this, an international body should handle the regulatory aspects of the debris issue, as the issue is not confined to a single organization or geographic region. It was suggested that the International Telecommunication Union (ITU), which handles frequency allocation, might be the best candidate for the job.